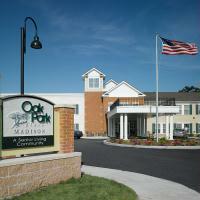 The full continuum of care offered at Oak Park® Place Madison includes independent living at The Arbors, assisted living in The Grove, memory care at Autumn Lane®, premier state-of-the-art post-acute rehabilitation services, and skilled nursing care. At all levels, we focus on offering opportunities for residents to maintain and even enhance their active lifestyle while providing assistance with daily living when needed. Choose a community with a professional, compassionate staff that knows you and understands your care and lifestyle needs. The decision to move to Oak Park® Place offers peace of mind and endless opportunities to pursue your own personal lifestyle while you plan for the future in our senior living community. Find us just off Cottage Grove Road. Take North Star Drive then left on Jupiter Drive. 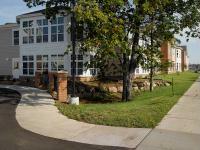 Oak Park Place is past the round-a-bout with ample parking available on the street or in the rear.